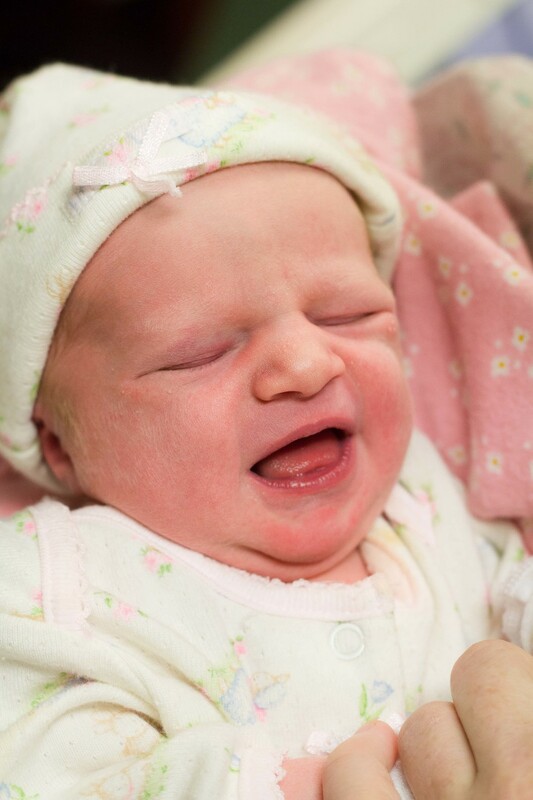 This newborn was not happy to take her picture. She wants to grow up and be such a big and pretty girl and when I walked in, her Mama stopping feeding her. I think you can see for yourselves that she was not happy with that idea, in fact she's so hungry she tried to eat her mitten! Poor little thing. Her family hadn't chosen a name when I came to take the photo, but here's the information I have for her. 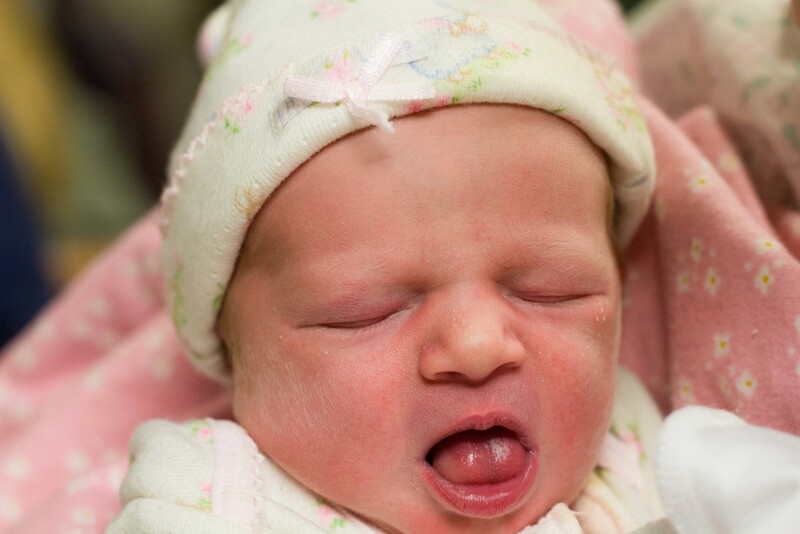 Baby Morrison born to James and Melinda Morrison on January 8th, 2014 at 2:17p.m. She weighed 7lbs, 2 oz and was 18.5 inches long. Welcome to the world little one!